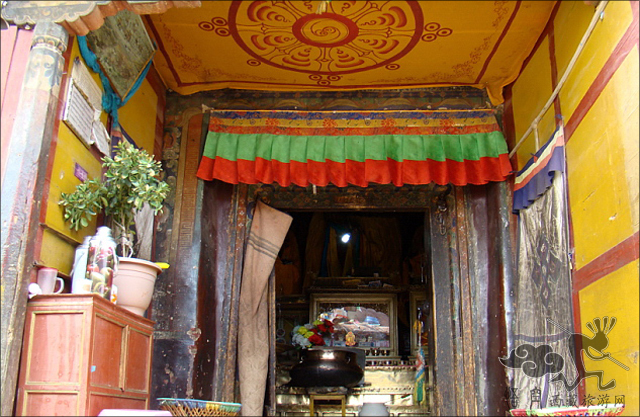 "2016 年 1 月 25 日 下午 9:33"
Kumbum monastery, known as the Tibetan "palcho monastery", meaning "auspicious round Le Temple", located in Gyangze County, northwest of cases at the foot of the mountain, Solange Dan Kpaba founded in 1414 and Baiju Si is a pagoda with typical monastic architecture of Tibetan Buddhism, special is: early white temple habitat for Sakya, later GA when and Gelug forces have entered, factions once repel each other, rival, but in the end, or their respective crasher. So Baiju Si compatible three denominations in Sakya, kadam, grove and temple dedicated to and architectural style also set all long. Each temple has five or six halls in the church. "2013 年 11 月 12 日 下午 10:38"
"2013 年 2 月 23 日 下午 9:51"